I look for You, my Master and Lord. I track You down,determined but afraid. Night is falling and I am not home. replaced by unknown sirens, by stranger sounds. Night is falling, and I am afraid. But You were never gone. You searched me and found me. Picked me up and kissed me. Oh, that Voice, that Scent, the signs of Home! I fear nothing and am satisfied. It matters not my Lord. For in your arms, I am home. It is your last hour on this side of the planet. Sadly, no one is living this last hour for you. All have set their eyes and hopes on your successor. Whatever is left of your 12-month life will forever be etched in memory and in history. Save, should it be changed by our own freedom, or the will of God. I do not carry with me any regret, nor bear ill-will against you, 2011. And at death, with Tosca I say to you – I forgive you. I shall cherish it with the sentimentality of a sage, the joy of a jester, and the grimness of a god. At the stroke of midnight, 2011, I will take up new pen, and write a new history. Good bye, 2011. Rest well in the annals of history, and in the minds of all who breathed during your regime. This quote spurred some reflection on the immense impact of the Incarnation of the Son of God. First of all, the impact of the Incarnation – of God being really in our midst, partaking of the most ordinary part of our lives – must be experienced before we can enter into any form of relationship with God, much more adopting a Christian spirituality. Barring sinful actions we may commit in any given day, try listing down all the ordinary things you do on a daily basis. You wake up, you do your toilet, you take a bath. You eat, you walk, you greet your family, you go to work. You get tired, you get bored, you long for your friends, you have dinner with friends, sometimes with a couple of drinks. On special days you probably attended a wedding, danced with some people, and the like. There are days you go on long trips to unwind. On Sundays you go to church. In the evenings you come home, tired, barely lying on your bed when you start snoring. Imagine Jesus doing ALL of that too. And for most of His life – a good thirty years of it – he did all that. His life was the daily rhythm of Jewish life, shaped by religious laws, cultural practices, and the Roman shadow hanging above all of them. Surely he must have had to pay taxes too! He went to funerals, to circumcisions, to parties. 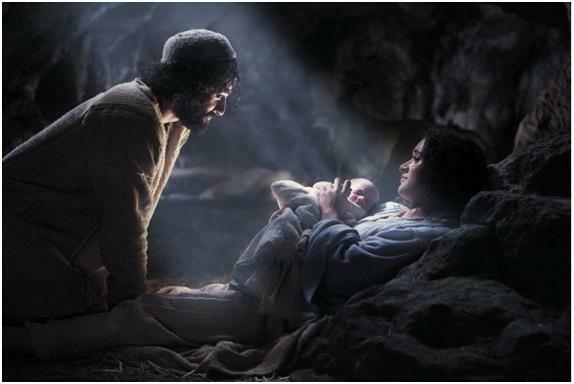 This is what Christmas is all about: God – the immense, transcendent, all powerful, all knowing enters into the ordinary. Christmas should bring home the realization that God’s intent is not to be part of your Sunday Masses only. Nor is He part of your rising and your sleeping only. Christmas is the faith-evidence that God wants to be part of our lives – in the most ordinary, mundane routines of our lives, notwithstanding the special moments. And this is the first challenge: Not that God becomes present to us, because God’s omnipresence and Christmas itself makes Him present to us at all times. The challenge is to make ourselves present to God. Only when we can make ourselves present to Him – conscious of Him on an increasingly continuous basis – can we say that we have begun to enter in a relationship with God. Secondly, if we want God to truly transform our lives – to save us – then we must make ourselves more and more open to Him. Mary Most Holy, while truly immaculate, could have lost all that much like Eve (who was created immaculate too). But our Lady exercised her freedom not to “take the fruit of the knowledge of good and evil” so that she “can become like God.” Rather, our Lady exercised her freedom to choose God and to make herself completely available to God and His Will. When she said, “Behold the handmaid (slave girl) of the Lord, be it done unto me according to your word,” she meant it completely. And with that she becomes the only one full of grace – saved in a preeminent way – saved upon her conception, and carried over until her Assumption. Her complete openness allowed her to be filled with the Holy Spirit so completely, to become the Mother of God. And so she fully possessed God. In her the mystery and message of the Incarnation is complete. This Christmas, it is my personal prayer that we all begin to draw closer to God who is in the ordinary – as ordinary as a helpless child in swaddling clothes – and experience transformation as we allow more space for Him. If there is room in the “inn” of our hearts, then for sure, Christ will be “born” in you, and you will begin the journey of true liberation under the loving, watchful eyes of the Father. And then, certainly, the Light has dawned on you, and you will then and forever be transformed. For someone who hates being awake at 3 o’clock in the morning, I have found myself rising from slumber around that time to prepare myself for our parish’s 4:30am Dawn Mass. Ever since I could remember, I have always wanted to complete the Christmas Novena. To date, this year was only the third time in my entire life that I was able to complete it. This year was particularly special, because in all the nine masses, I was permitted to serve as a Lector/Commentator. And in all the masses, I was able to assist at Lauds. This actually explains why I rise at 3am. Not only did I have to do my usual morning toilet. I had to make sure I was in church by 4am to prepare myself for the celebration – mentally, spiritually, and logistically. Upon arriving, I would sign off on the attendance sheet of the Lectors/Commentators ministry. Then I would check the logistical requirements of my assignment. If I was the Commentator, I would review the flow of that morning’s liturgy, the announcements I would have to make, and the like. If I was a Lector, I would prepare and review the Lectionary. I would also double check my Breviary for that day’s Lauds. After that, I would settle down for a few minutes of meditation following some writings of St. Alphonsus di Liguori. As the days of the Christmas Novena progressed, I found myself encountering various situations in my ordinary life where my faith-in-action would be challenged. There were many instances when I had to struggle with impatience – my perennial flaw. In many things I am patient. But in committed appointments, in having to repeat instructions, and in slowness of intellectual pick up (borne of my intellectual pride), ah, here I am weakest. I had to grapple with a few instances where my pride was pricked. While it was through no fault of my own, I had to choose between the magnanimity of letting things pass, and the ordinary right for vindication. I had to wrestle with the lazy stupor that comes with the holidays. Even my fight for temperance and continence almost felt like a losing battle. In short, I had become keenly aware of the dark side of my self – that side that I have reserved to myself, to my own personal sense of right and pleasure; that side I have not laid before the Lord Jesus. This awareness was precisely my first blessing from the Lord in this Christmas Novena. I have acquired, by the working of the Holy Spirit, a deeper understanding of just how bad a person I could be. Has this awareness led me to compunction? I don’t know. God alone knows just how contrite I am now. One thing is for sure – I felt helpless. I felt like I wanted to be better, if not just good, but I couldn’t find the willpower to sustain it. And this helplessness brought me to the second grace of this Christmas Novena. In the last nine mornings, I have felt more keenly the presence of Mary Most Holy, my mother and the Mother of the Lord. This feeling reached its peak in one Dawn Mass where the choir sang the Memorare. And as I sang-prayed with them, I knew with greater conviction that as I desire to become more and more like Christ-for-God and Christ-for-others, our Lady would be my sure and constant guide, advocate, and protectress. And finally, our Lady’s maternal presence brought me the third grace of this Christmas Novena. She probably asked it of the Spirit, for now I have a strong desire to expand my heart – my entire being – to make more and more space for God to dwell and act in and through me. 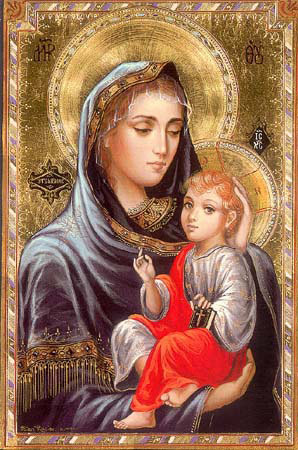 More of God, less of self – this is the desire that the Spirit must have planted in me by the prodding of Mary Most Holy. For this three-fold grace, I am already grateful. It is truly an affirmation that God continues to work in my life – using both moments of desolation and consolation – for me to encounter Him and enable me to continue this journey of faith. The Christmas Novena is one made in honor of the Blessed Virgin Mary, who for nine months carried the Incarnate God in her immaculate womb. It is a celebration of waiting, of joyful expectation. It is a time too, to lay before our Lady and her Child our prayers. But now it is not just a moment of waiting, it has become truly an encounter with the Lord. It is no longer just a period of petition, but also that of praise. For the God I sought was waiting to be found, that we may meet. For my petitions were ready to be granted, that His love and mercy may forever be sung. Come, Lord Jesus, and find a bigger, cleaner, fresher room in my heart this Christmas. After all, it was your Mother and your Spirit who cleaned it up for Your coming. Implored they help or sought thine intercession, was left unaided. Thus says the Prophet Isaiah… And it is true. UNTIL the Incarnation. For when the Son – the Word – of God was made flesh, then all flesh is no longer as ephemeral as the grass. Because of the Incarnation, He who shared in our humanity gives us the chance to partake of His Divinity. Because of the Incarnation of the Son of God, when the breath of the LORD blows on the flesh, it is quickened unto eternal life.